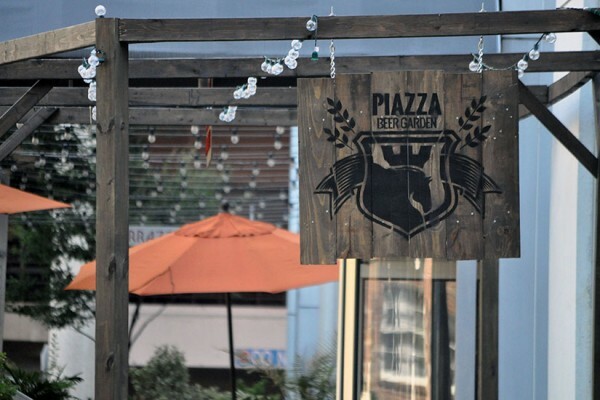 La Piazza in Italy is a lively, outdoor, communal space where the entire community comes together to share one another’s company, step out of the daily hustle and bustle and to celebrate the rhythms of life. 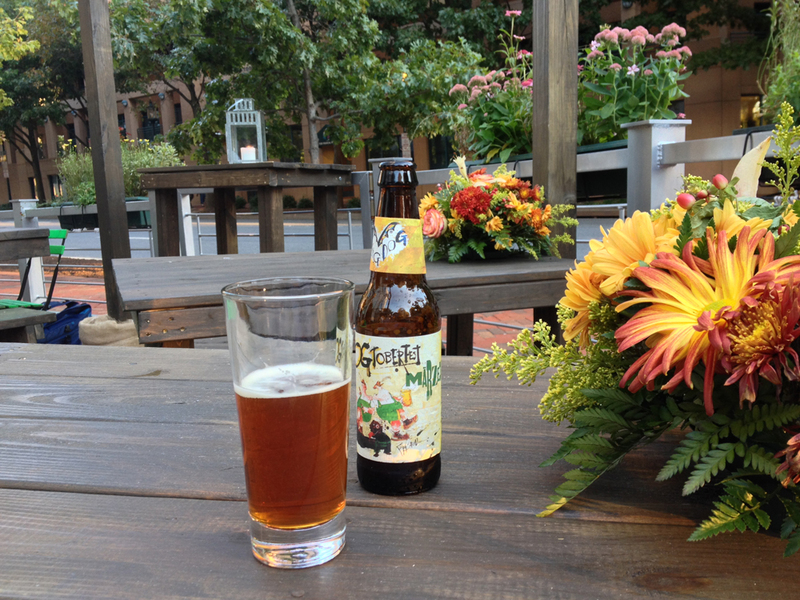 Piazza Birreria on Bethesda Row is a concept born from the idea that all things are meant to be enjoyed. It is a place to relax and enjoy one another’s company while experiencing the sunshine, unique local beers and tasty food – all the while going green, sustainable and local. 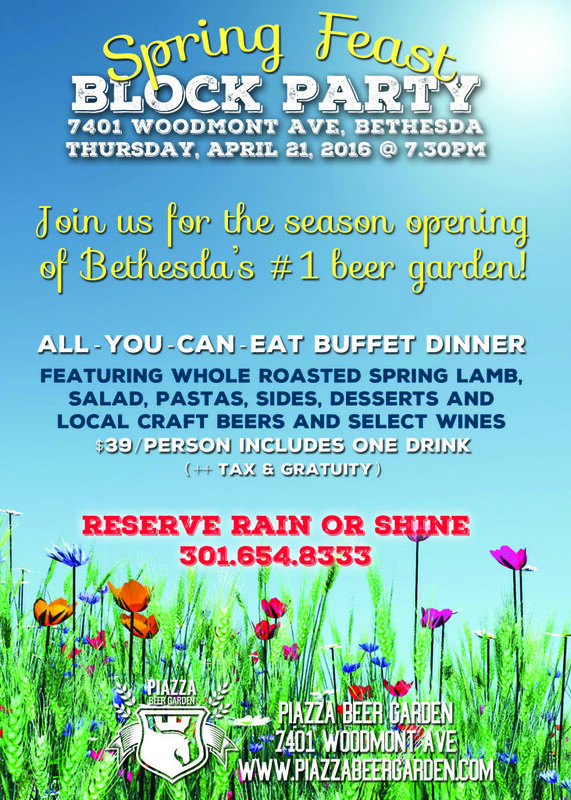 The essence of this Italian “beer garden” is to celebrate Bethesda’s community, so join us and meet your neighbors! Bring your best smile and be certain to enjoy your time and your company. Make sure to say a cheery Ciao Bella to all the beautiful men and women around! The most important rule of all! 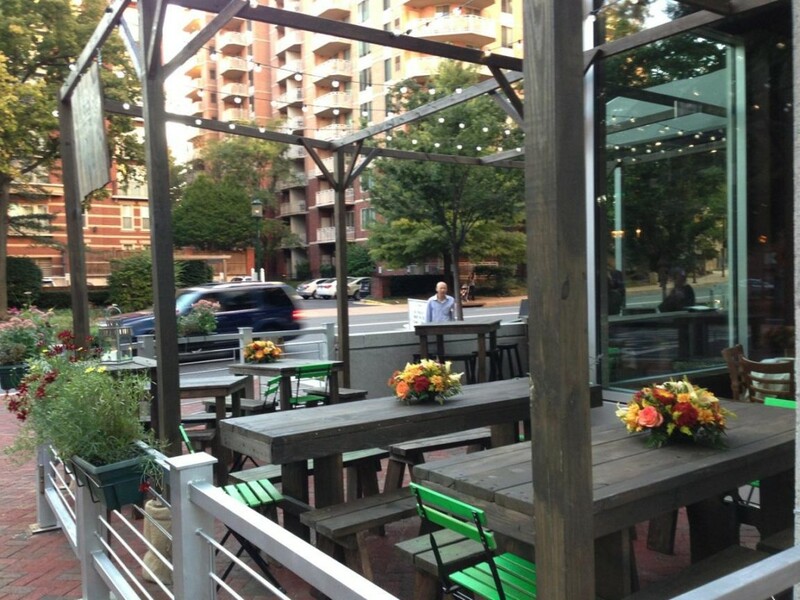 La Piazza is place where people come together as a community so be friendly and enjoy one another’s company. Great friendships await you! Bring your appetite to the communal tables and be sure to fill up on Chef’s delicious tastes at the right prices. 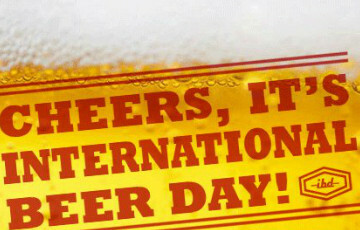 Food and drink always brings people together, so let’s drink a variety of local beers together! 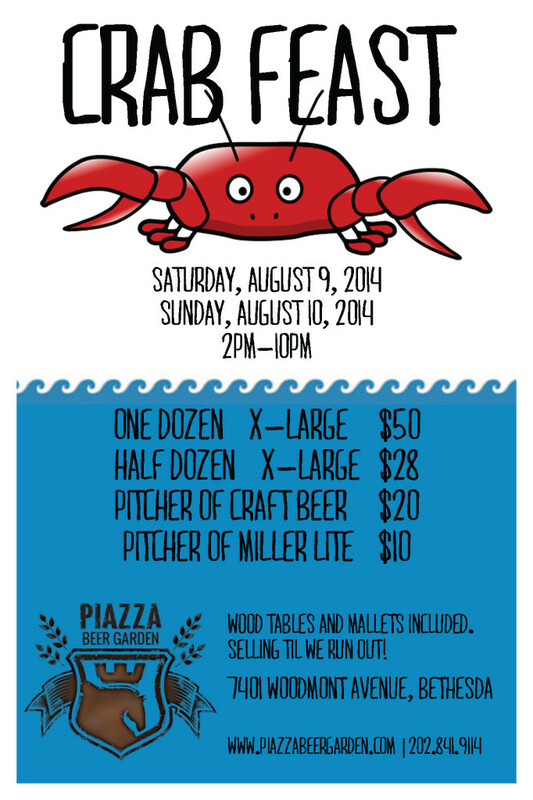 We also challenge you to know the names of all of the people at the Piazza when you are there. We might quiz you for some surprise gifts. The entire piazza has been created from sustainable and environment friendly materials. Recycled wood from broken down pallets and doors, burlap sacks that would otherwise be pitched and environment friendly paints and stains promotes minimal waste and environment conscious design. Join the sustainability movement and do something good for the environment! Menu items and beer options are local to our city and closely surrounding areas. 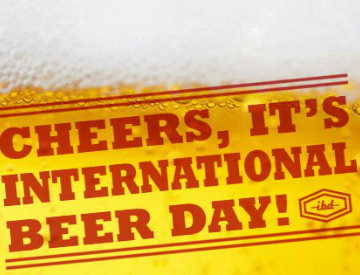 Support local farmers and breweries while enjoying the tastes they have to offer. 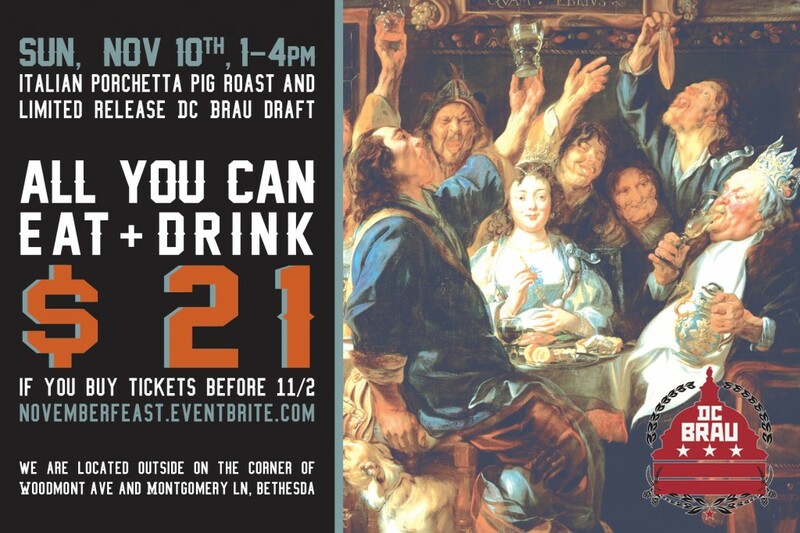 New beers each week featuring breweries from DC, Maryland and Virginia. Prosciutto, salami, mortadella, marinated olives, parmigiano and crostini. Easy to eat at the bar, but more filling than your average finger food. Choice of hamburger, fishburger or portobello burger. Served with yucca chips. On fresh ciabatta bread. Served with yucca chips. 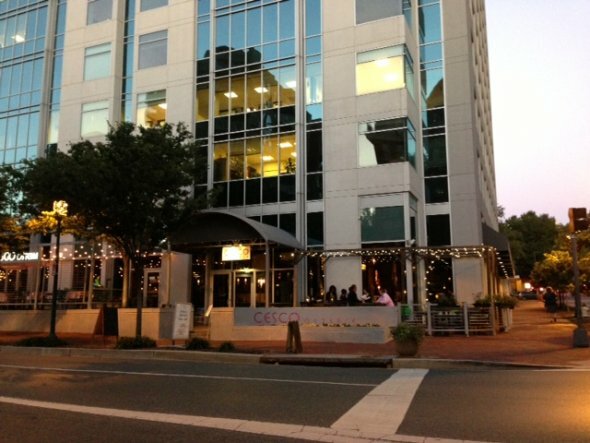 We are located on the corner of Woodmont Avenue and Montgomery Lane, next to Cesco Osteria. We are an outdoor location.